Quick recap from Issue #3, which focused more on the rise of Govern Price from Lothal. The character was really prominent in the Star Wars Rebels television series, so the back story for her was well received. I’ve found the Thrawn series informative and well…political, but not extremely action packed. Thrawn, himself, isn’t so political but more a strategist and good at it. Issue #4 gives us some of how Thrawn gains the rank of commodore and lays command of the Chimera. We get an additional appearance of Grand Moff Tarkin. The cover lets us in on this little fact. Thrawn is a fan favorite and the book is an excellent read. It’s simply the novel in the short form. Ross’s artwork compliments the subject and the story as a whole. 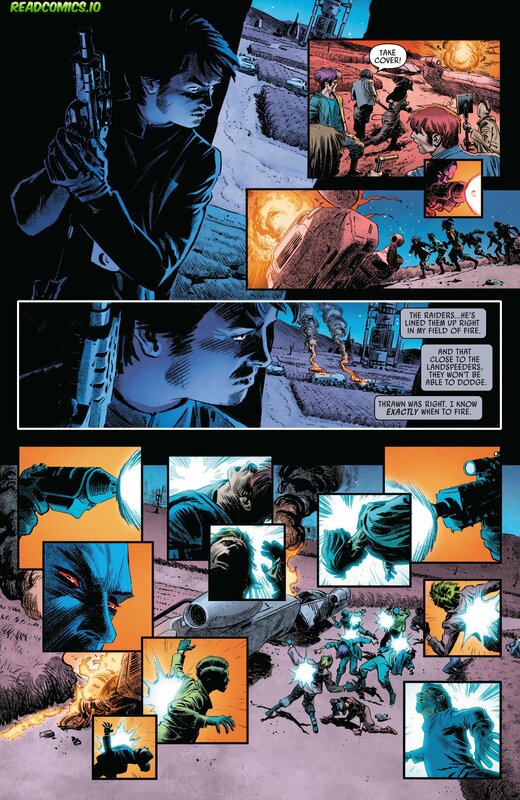 The next two issues should easily round out the tale of Thrawn and hopefully connect the ties we already think we know. Thrawn’s legend will grow even bigger in the Star Wars Universe.